This week was still a bit off, just like last week I felt like I did a lot but I wasn’t feeling as productive. This week was a bit better than last week. And maybe it just feels that way, but it sure is annoying. We’re trying to change our routine a bit which always is a bit rocky. I worked on some ideas for Lola’s Blog Tours, my first audiobook tour ran this week and I got a chunk of assistant work done. So overall I did got things done. I did fall behind again on commenting, but I’ll try and catch up today. And I had a smart idea for something on my Lola’s Blog Tours site, although actually it’s really simple and I can’t believe I didn’t think to do this before. The services page was getting way too long with all the information I tried to fit in it, now I made a drop down menu with different pages for each type of service. I think it looks a lot better this way as all the pages are manageable length now. I did have to go and change some links and probably still forgot a few, but I am still happy I made the change. I have quite some plans in the work for Lola’s Blog Tours, but I’ll announce those when I can. I didn’t got many new authors last month and it got me down a bit, so I am worrying a bit about that, but strangely enough it also got me thinking about how to improve things and what to do next. So I spent some time planning things and hopefully it will attract some new costumers. The ups and down of having your own business really is one of the most stressful things about having your own business. And I have a favor to ask of you. If you have a mobile device (preferably a phone) could you visit my site Lola’s Blog Tours on your device and let me know what the theme looks like? My theme isn’t adaptive as far as I know, but I do have a plugin that should make it look right on mobile devices. But as I don’t have a smartphone myself I never got around to checking it and sites on the internet that show you how your site looks on mobile vary with results. I keep pushing this away to do later, but I figured this is important to get right and if my theme doesn’t show up I should figure out how to make sure it also looks nice on mobile. Thanks in advance! It seems I only got one or two post written each week. I still have two days left for this challenge, but not sure if I can actually get a post written today or tomorrow. At the moment I am at 18 scheduled posts, so I didn’t reach my goal to get at 24, but still happy for every posts that I got done. 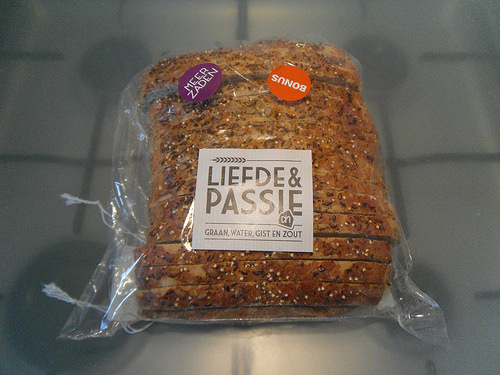 This is a bread we sometimes buy when we want something different. usually I just buy normal whole wheat bread for me and something with some seeds for my boyfriend. This bread is one of the special type of breads our supermarket sells and I sometimes buy one as it’s pretty good. It’s white bread with some seeds and such in it and there is a bit of salt on the outside. It’s so good I usually just eat it plain. What kind of bread do you buy when you want something a bit different? And what kind of bread do you usually buy? I read two books this week, which is pretty normal for me, one 3 star and one 4 star read. 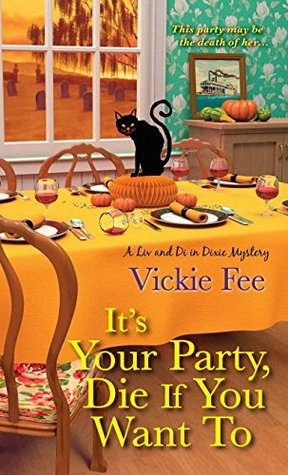 I finished It’s Your Party, Die If You Want To and already reviewed it, just managed to finish it the evening before it had to go live, oops ;). It was an okay read, had some fun parts and some parts that didn’t quite work for me. 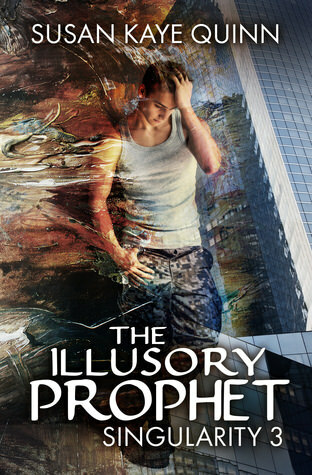 The Illusory prophet was a great read, I love Susan Kaye Quinn her books and have been waiting for this book for quite some time and it sure was worth the wait! 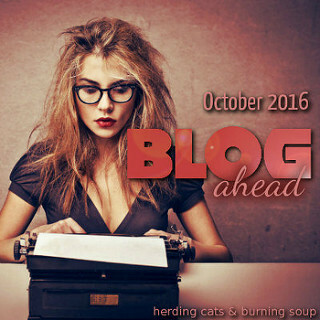 – Lola’s Ramblings: Do you subscribe to author newsletters? – Big Flipping Deal by Ian Saul Whitcomb – 7 November – New! 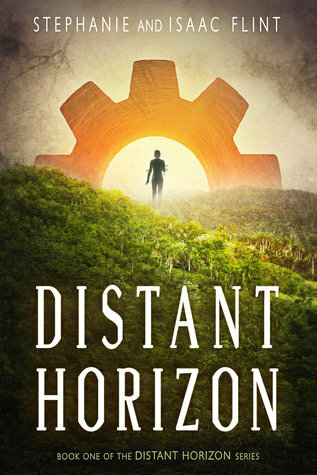 I got Distant Horizon from the author as a thank you for organizing her cover reveal. It sounds pretty good, so I am looking forward to reading it. I lend November from Berls from fantasy is More Fun. 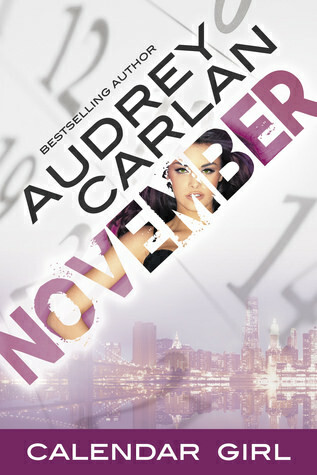 I already started reading November. I don’t like that feeling of being in a mood when I don’t feel productive even though I’m getting stuff done. Hopefully that will change for you soon and for a few new authors to sign up. Oh neat that you were able to do some re-organizing on your blog site to make things cleaner in appearance. You’re bread looks good. There is a multi-grain bread called Milton’s that I enjoy toasted without anything on it b/c it has a sweet flavor and the cracked grains and seeds make it crunchy. It’s not sold at my local market, but it’s sold at a place nearer Detroit and I go there when I’m up that way running errands. Wow, quite a pile of freebies this week. I picked up a few, too. Even though you haven’t met your Blog Ahead goal, I think getting two extra posts done a week is still good. I don’t like this mood either and even though I know I get things done it doesn’t feel that way. I hope I can shake it soon. I think the drop down menu really helps clean things up as the services page was getting so long and I think this way potential customers are more likely to read the information they need, at least I hope so. There are some breads that taste so good they don’t need anything on it. Your Milton’s bread sounds good! I didn’t realize how many freebies I got this week, I thought I only got a few and then I started listing them, lol. I’ve been thinking about making some of my menu tabs into dropdowns too. I like the simplicity of not having a dropdown, but the reviews page especially is getting really long since I have reviews organized by author and then below that by rating and then below that a search. So I don’t know, I might split them up. Honestly my favorite type of bread has always just been white bread. Not as good for you as wheat or other kinds, but still my favorite for sandwiches or just eating with butter or whatever. I missed some of your reviews this week, I’ll have to come back when I have time later and check those out 🙂 You did get lots of freebies this week though! I agree the simplicity of not having a drop down menu is nice, but sometimes a page just gets too long and you lose the overview without a drop down menu. In this case my services page included everything for general information to information about every tour, links to book a tour, explanation of my free advice and a which tour is best for you part and it sure lost the overview. I think the drop down menu looks neater there. I never really ate a lot of white bread, I usually prefer the light brown bread. And nowadays I eat whole wheat bread for the fibers, as else I don’t eat enough of that. I also missed some of your reviews this week, I hope to stop by and comment later today. On the bread side of things I just buy a small white loaf that fits in the toastie maker. If I fance a change I buy a cheesy baguette or bagels. In fact I feel the need for a cheese bagel right about now! Bagels are yummy too. I usually go with my standard whole wheat bread, but change it up sometimes. Sorry that you week wasn’t better. Hopefully it will get better next week. I love almost any kind of bread (although, I don’t like rye). I usually have plain white in the house because it is the only kind that DH will eat. Thanks! I hope next week will be better. I also don’t like rye, it’s not for me. I usually eat whole wheat bread as else I don’t get enough fibers. Glad to hear my page looks good on your phone. Thanks for checking! And I’ll check out that link you sent. I don’t use chrome, but maybe there’s something similar for other browsers. Your blog tours site looks good on my iPhone! Have a great week! Thanks so much for checking! I had checked online some responsive tests and some sites and some showed it right and other snot, so I wasn’t sure. I usually get french bread if I had to purchase one. I used to get a very tasty cheddar and jalapeno bread. YUM! I like french bread, I had some this week with soup for dinner. otherwise. Crossing fingers that some new authors will come your way soon, Lola. This time of year is hectic though, so might still be slow. Now if only I could figure out a way to get it show the lovely green colors as well. But I am glad it looks fine besides that. Thanks for checking! I really hope for some new authors soon, I got one new author this week and a returning costumer who booked a tour, so that’s good. And yes I figure with the holidays coming up this time will be a bit slower for business. I’m glad your getting stuff done, even if it doesn’t feel like you are. I’m sure business will pick up after the holidays. Thanks for all the great freebies. Have a great week! I know I got stuff done, but it’s frustrating it doesn’t feel that way. And I really hope business will pick up after the holidays, maybe it’s just a holiday dip. I checked on my iPhone and all looked good! I hate weeks where I just feel off but at least you were productive. And it sounds like you have some changes going on too and that’s good, it’s always nice to try and improve things as it just freshens everything up. Funny the way you sometimes just get a flash of how much easier something should be! And that’s fun that you did an audiobook tour. I find nowadays I’m listening to a lot of audiobooks while I drive to and from work and I love that I can squeeze in extra reading time with them. 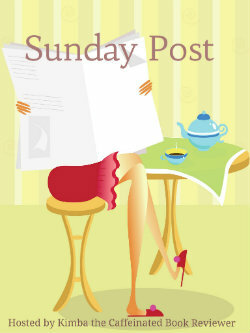 I finally will let you know about some of the changes/ plans in tomorrows sunday post. I feel a lot better already this week. And it really was a good burst of inspiration with figuring out how to solve my page problem. I haven’t listened to an audiobook myself yet, but might give them a try once. I am just not sure when to listen to them. It was fun organizing an audiobook tour. I hope to do more of those. It is good to hear your week was better and I hope everything works out. The bread looks yummy. We usually buy white bread but if I want something different I get sour dough. It is great to dunk in to soups. I hope you have a good week! Sour dough can be good once in a while. I’ve had in Germany a few times, although I rarely buy it here. Lola’s Blog Tour looks fine on smartphone Note 4. It is WordPress looking, no header or design, but all relevant info is there. Hope the week ahead is a good one for you. Thanks for checking! I’ll have to see if I can make sure at least the header shows up. I was afraid it wouldn’t have the right design, but it’s good to know at least it looks fine on mobile. aww at least you still got some stuff, I can’t say that my week was very productive, but I got laundry done and that’s better than nothing heh… it’s been that kind of week. Yes at least I got some stuff done, I also did the laundry. Guess it’s better than nothing. I didn’t read a lot this week, I managed to finish a book (and good thing cause I wanted to review it this week) lol but yeah some weeks are just off. Good luck with your blog tour changes, I imagine business comes and goes but sounds like you have a good take on it. I have to admit I love white bread, I know it’s not as healthy as wheat bread and normally that would sway me but I can’t help it lol. I usually buy crusty bakery style bread if I can, I try to avoid the mass produced stuff because I can’t really stand that stuff anymore. But I love a good sandwich and having crusty bread to dip in soup or whatever. This weekend I’ve been eating some pumpkin cobbler bread with spices and it’s deelish. Looking forward to your gaming post! Yes business always comes and goes, but it can be difficult to deal with the slower times. Making some plans did help me feel a bit better. I do like white bread once in a while, although I usually go for something like this with a lot of crust or french bread. Oh that pumpkin cobbler bread sounds delicious! Exciting on the Tours front. It sounds like you’re making some nice improvements. I hope you see a good number of new authors in November. And that things settle for you. This time of year has a way of having a girl off kilter. Thanks! I hope so too! It was fun to spend some time planning these things out and I hope to implement most of my plans in the next month. Yes I was a bit surprised myself how many freebies I got. Lots of nice freebies you picked up. I found a few I liked. Thank’s! As for your tour page on the smartphone it’s simple WordPress looking, no header or design. Thanks for checking. I had hoped my header would show up instead of a simple wordpress looking design. But it’s good it shows up correct instead. Will have to see if I can find a way to add the header and/or background color at least. Floating in the middle fo nowhere doesn’t sound too good of a place to be. But it is great you finished writing a book and finished reading one. Thanks! I hope this month will be better in terms of business. I did have an author book a tour for early January today, it’s nice to have something scheduled. I don’t like rye bread, but sourdough can be a nice once in a while. Glad things are going better this week. I hope your business picks up. I sort of had my own business for awhile and didn’t like it, so I empathize with all the stress. –I have never had any problem canceling Audible US when I needed to. –You may also want to give Storytel (subscription service) a try. They are available in the Netherlands; and I think their site says they have a 14 dagen free trial (No I don’t speak any Dutch). I don’t know if they have anything you’ve read though, and I definitely recommend starting with a reread. I love having my own business, but the ups and down can be stressful at times. Thanks for answering here! I might give audible a try and see how it goes, at least I can get two free books that way them. I hadn’t heard of Storytel before, will check them out. If you’re using Tweak Me it should be mobile-friendly. You can also email Ashley (the programmer) to ask her about it, I know that she realizes how important it is. That seeded bread looks delicious! I am so lucky we get bread delivered from an organic bakery in our region. They have different specialty breads every week so I enjoy being surprised. Cinnamon raisin is my favorite. I use Tweak me for my blog, that one is mobile friendly indeed. But for my tour company site I have another theme that isn’t mobile friendly. Oh that sounds amazing how you get a different specialty bread every week, I can imagine what a fun surprise that must be every week. I have had cinnamon raisin bagels a few times which I love, so I imagine a bread in that flavor must be good as well! Well anytime you try to alter your routine it may take awhile to get adjusted to. Hopefully all will be well on next Sunday’s post. That bread sounds so good and I don’t think I have ever seen it here. I usually get a specialty bread like blueberry or brown sugar and toast it for breakfast. It’s kind of pricey so I get it occasionally. Sometimes I get English muffins for breakfast. Or bagels. For sandwiches we get plain old white bread. Not my first choice but one of roommates will only eat white bread. I went to Amazon to check out the Alpha Christmas freebie you got. It’s not from the series we have been reading and not on sale anymore. So I didn’t get it. Hope you enjoy all those new books and have a much better week! Yes routine changes always take some time to adjust to. The bread is really good, I’ve never seen something similar in other stores. Blueberry bread?! That sounds really good, I’ve never seen that here. Is it sweet like banana bread? I follow Alisa Woods on facebook and subscribe to her newsletters so I hear about her sales whens he has one. This is a different series indeed from the one we’ve been reading, I already got the first book in this series so I figured I would grab this one as well as I eventually want to reads this series too. Oh I do love getting those freebies!!! I do need to grab up Alisa Woods. Normally for my bread I try to grab the healthiest wheat bread. However I have been thinking about making my own bread. It’s so yummy. I think you might enjoy Alisa Woods her books, I really enjoyed the ones from her I read so far. She really writes romances and characters well. I really like bread, but I dislike making it myself, I don’t have the patience for all the waiting while it rises.